This is a proud moment for me. Last night I remembered to do the prep work and was rewarded with a super yummy morning. A food dehydrator or oven on lowest heat; a sunny window might work unless (like me) you are prepping the night before. Begin by soaking your cashews and walnuts in water. Using a knife remove corn from husk by slicing off the top half of the kernels. Basically get as close as you can but not so much that you include those little hard pieces. Then blend bananas, corn, a nice squeeze of lemon and spices. It doesn’t have to be super smooth but liquid enough to pour. Line dehydrator or baking sheet with parchment paper and pour little pancakes. You should get about 8 little disks out of this. These will thin out a lot overnight. 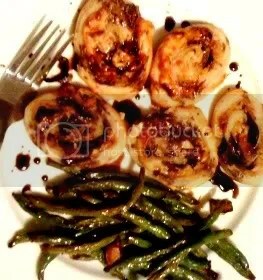 **If you are using an oven you may want to try this during the day first to see how it goes. In the morning, or about 6-9 hours later depending on drying method, carefully peel crepes and flip them over. The crepes will peel relatively easily and still be flexible. You might want to leave them flipped over in the dehydrator while you make the filling. In food processor or blender add nuts, coconut oil, vanilla, agave and spices. 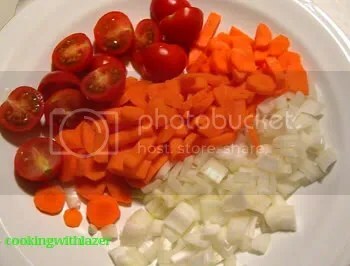 Start by chopping/pulsing these; then begin to add water slowly. Add a little at a time and keep blending until you reach a fresh whipped cream texture, or your desired thickness. “Lox and Bagels” is one of my favorite brunches of all time. Today I attempted a vegan version. Extremely simple and amazingly tasty. Bagels- I used these nice sprouted grain ones. Vegan Cream Cheese- You can pick this up in the store or make your own. Mine was store bought. Organic Tomatoes- Because these simply have the best flavor and color. Dill, pepper and/or any other spice blend you wish. 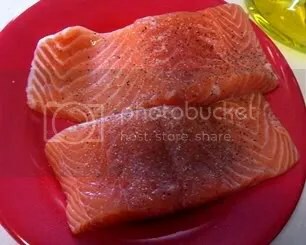 To make your “lox” simply slice your tomatoes fairly thin. Roughly the thickness of real lox. Put on a plate or in shallow bowl and squeeze lemon juice over the tomato. Don’t skimp on lemon. About 1 half lemon for 2 tomatoes worth of “lox”. A little bit of amino acid, soy sauce, etc. if you so choose. Then douse in spices. Dill, black pepper, any blends you like; either lemony or earthy. Totally your preference. After at least 30 mins you can toast bagel and assemble. Cream cheese, onion, tomatoes and capers. Drool. For the past 2 weeks I’ve been on a mostly raw food diet. 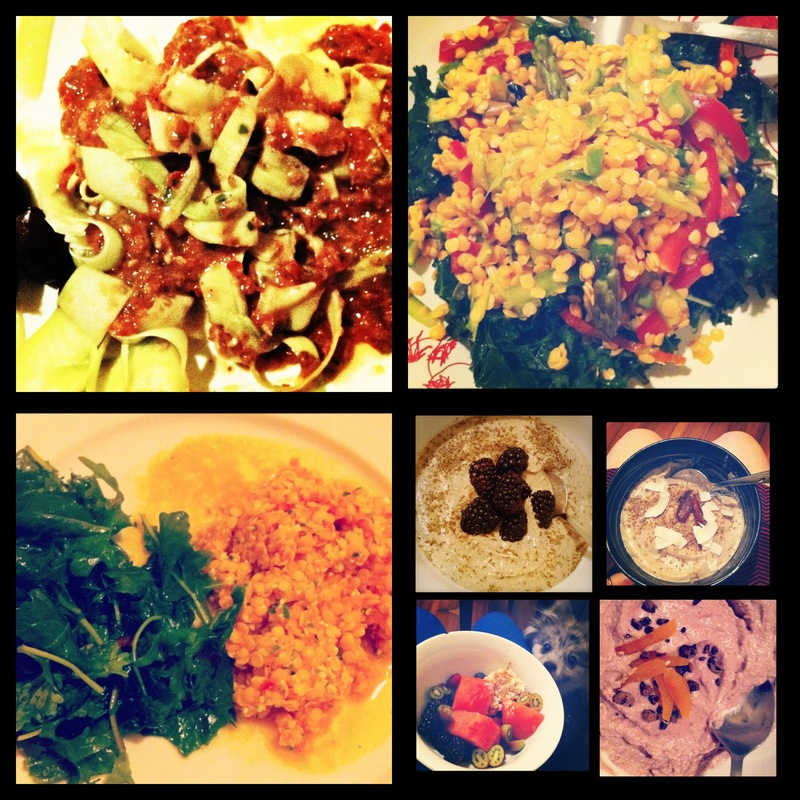 It all started with a health conscious urge and decision to perform some kind of detox/cleanse. I’ve cheated. Approx 75% raw and 99% vegan, BUT I’ve made some huge changes. Changes I can totally live with. My opinion of raw food before trying it… well, I don’t think it ever crossed my mind. I’m a meat eater. I love ice cream. I love to cook. Why would I want to eat only fruits, veggies and sand? Surprisingly this has been a very tasty experience. The methods are so new to me; more like natural science. The food I’ve made so far has loads of potential. Things can tend to look a bit a like, but the flavours have a wide and fresh range. Best of all- there is a wealth of information at your fingertips. Raw niche blogs, YouTube, cookbooks. **I will definitely try to update this post with my favorite online resources. Sugar has been cut and replaced by natural options. This was tough for me as it’s difficult to enter a deli and leave without sour patch somethings. Luckily raw agave, (real) maple syrup, dates etc. are available. Processed grains have been cut out dramatically. A few corn, lentil, or pop chips here and there. Vegan noodle dishes and bread are still in the mix occasionally, though not ideal. Dairy has been totally cut, as well as meat. There are reasons-a-plenty to cut way back on both of these. **I’ll try to update this with some explanatory links soon. Alcohol might be the toughest due to lifestyle and season. I’ve cheated here with some red wine, but never more than 2 glasses. Is it worth it? To me, yes. Looking a little deeper into what you put into your body is never a wasteful act. Am I feeling positive effects? Yes. Absolutely. Would I recommend to a friend? Many of them. My best friend got me into spicy sausage with peppers on crusty Italian bread. 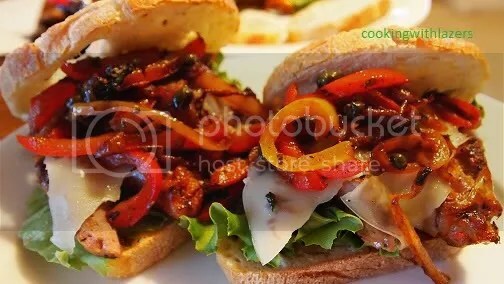 This is basically the same yummy sandwich she makes but I wanted to try something a little different so I cooked the peppers and onions with garlic, capers, and Italian parsley and used red wine vinegar while sauteing. You can cook this meat on the grill, griddle, or skillet. I used my griddle. This makes about 4 smallish sandwiches and the ingredients are approximate. A little more or less of something is fine depending on your taste. Take your sausages and cut them lengthwise down the center making sure not to cut all the way through. (If you cut all the way through no problem just cook them in halves.) You want to keep the casing to be intact enough so the sausage doesn’t fall apart. Flatten out the sausages as best you can for easier sandwich shapes. Cook these on a med-high flipping occasionally until slightly charred. While those are cooking heat olive oil in large frying pan on med heat. Add garlic and cook for about a minute or two. Add onions and cook till slightly translucent. Add peppers and raise heat to med-high. Add 1 Tbsp red wine vinegar and allow mixture to cook for approx 5 minutes or until liquid has cooked out, stirring occasionally. Add parsley, capers and the remaining 1 Tbsp of vinegar. Stirring mixture, and cooking till liquid is gone and the strong vinegar smell is weakened. Really scrape the bits off your frying pan to get all the flavors working. Salt & pepper to taste. I used a rosemary and olive oil bread, a bed of lettuce, and a slice of provolone to make these super yummy, spicy, tangy sandwiches. Ooof, this was good. French toast is pretty basic as far as execution goes but there are a few tricks to make it perfect. Start with fresh bakery bread. Something soft. I used multi-grain for this because it was soft but had some texture still. Make sure you really let the bread absorb the egg goop. Add some extras like fruit, nuts, whip cream, bacon. Sliced cooked bananas and chopped pecans did the job today. For about 4-5 slices whisk 3 eggs, 1/3 cup (soy) milk,a few big shakes cinnamon and nutmeg. Whisk till blended. Soak bread in egg mix till bread almost falls apart. Heat about 1 tsp butter (substitute) in a non stick skillet on med heat. Add bread and cook till browned on each side. Heat about 1 tsp butter (sub) in another non stick skillet, add thick sliced bananas and cook on med heat till slightly browned. Top with chopped pecans and maple syrup. This is something I made when I didn’t know what to make.. but it turned out very yummy! A balsamic reduction was the perfect component to bring these treats from basic to remarkable. Definitely a great BBQ or party munchy with a major comfort food vibe. Prep pastry dough as per box instructions. (Thaw, handle with flour, preheat oven, 400*.) Lay out dough. Melt butter in frying pan, add onion and cook in med hi till browned. Add capers when onion is nearly finished cooking. 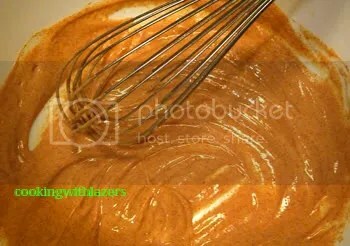 In a small bowl whisk egg and mustard, brush over dough’s “up” side. Thinly layer turkey, cheese, onions. Roll dough carefully, starting at side closest to you. Try to seal roll as best as possible. Cut in 1/2 inch slices. Arrange on greased baking sheet. Brush each with egg mixture. Cook for about 15-17 mins, until golden brown. My favorite thing about this is how little time it took. From prep to finish I spent about 20 minutes on this beautiful meal. There are quite a few tastes going on in this dish. 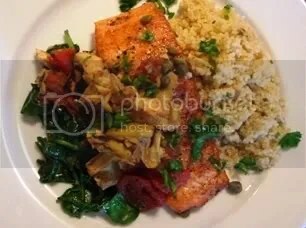 To maintain the distinctive flavors I cooked everything separately, and to keep the flavors working together I used the same pan for all the veggies and then made a sauce out of what was left in the pan. Side of couscous (optional). As per box directions. Start by prepping your veggies. Wash and chop parsley. 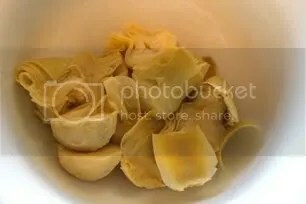 Strain, rinse and (if needed) cut artichoke heart in half. Set aside. Season fish with salt and pepper on skinless side. Heat frying pan on med hi, adding a little olive oil to the pan. 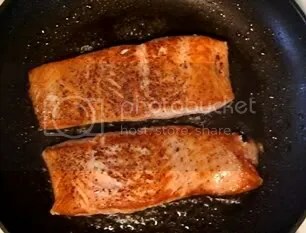 When oil starts to smoke add fish, seasoned side down. Judging by the sides of the fish, you’ll be able to see when salmon is cooked halfway through. Flip once. Roughly 7 mins each side. 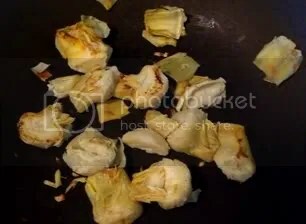 Add a few drops of olive oil to veggie pan and cook artichoke hearts on med heat until lightly browned. Remove and set aside. In veggie pan, simmer tomatoes with roughly half a cup chicken broth, about 1 tbsp lemon juice, Dijon mustard, and a splash of balsamic. Stir thoroughly and add artichokes. 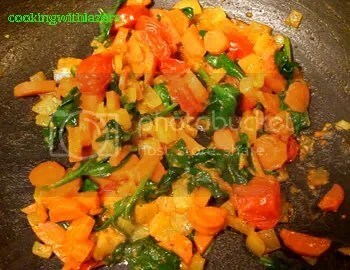 Allow liquid to cook out of pan, then plate veggies. Add about 1/2 cup of chicken stock, 1 tsp lemon juice, and capers to veggie pan. Bring to boil; whisking vigorously. Be sure to scrap all the bits of flavor stuck on the pan. Pour over fish. Top with fresh parsley. Yum! I love Indian food so I tried making some stuff at home; not authentic, but tastes amazing and totally killed the craving. There are plenty of markets that sell tandoori and curry seasonings. I got my from penzey’s spices. They have a great online catalog you can take a stroll in and find all kinds of awesome stuff each time. With this you can pretty much add as much or as little of the spices as you prefer. 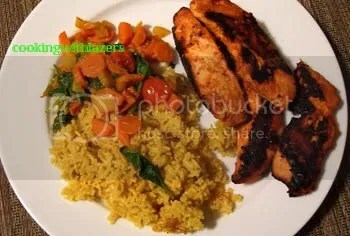 Tandoori chicken is marinated over night in yogurt and spices and then cooked in a very hot clay oven. Cooking it at such a high temp locks in the juices, but since I don’t have a clay oven I just set mine at it’s highest temp. Marinate. Combine yogurt, tandoori seasoning, garlic, and lemon juice in a lg bowl, blend, and add chicken, making sure to coat all sides of each piece. Leave this in your fridge overnight. Set your oven at the highest temp it’s got. Cook your rice as per instructions on box/bag but switch the water out for chicken broth and coconut milk. So if it call for 2 cups water, do 1 1/4 broth and 3/4 coconut milk. It doesn’t have to be that exact ratio as long as the amount is the same. Stir in all seasonings and cover and cook. 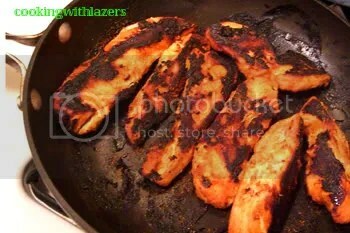 Put chicken in baking pan/ skillet and stick in oven. Turn this once and cook for about 20 min or until blackened. 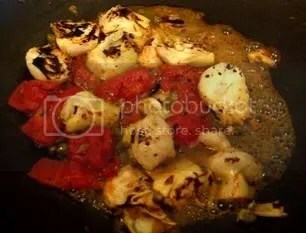 Heat oil in other skillet and begin to cook onions and carrots. Once they start getting soft add tomatoes and spices. 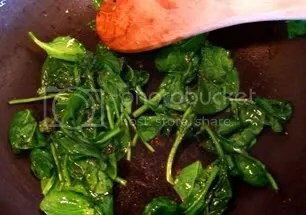 Let cook for about 10 mins and add spinach. Mixing. Veggies are ready when tender, roughly 15-18 mins. Once everything is finished, plate. Then add chicken broth and coconut milk to veggie skillet (without veggies) and whisk while on med/hi heat for about a min. Pour over rice and veggies. I don’t think enough Americans know about this. You could make this in the broiler or toaster oven, as they do in England. All you need is bread, cheese, and worcestershire. 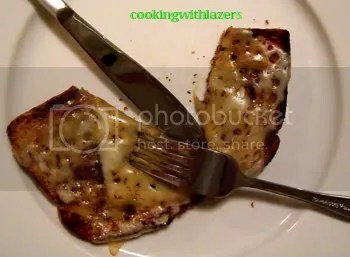 I used a butter spread and fried on med heat on both sides, topped with swiss cheese and a few big shakes of worcestershire. Cover with lid to let cheese bubble. 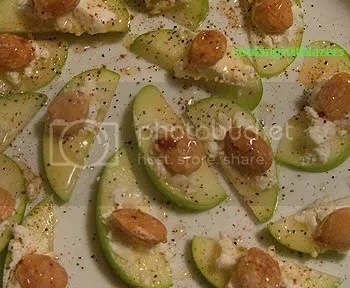 This is a simple thing you could make as an appetizer, snack, or even for a holiday party, in no time. The flavours are nicely interesting, but the best part is you don’t have to actually cook anything. 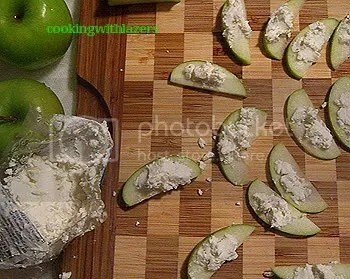 Cut apples into level slices and brush lightly with lemon juice. This prevents apples from browning too quickly. Top with goat cheese. Using your fingers is probably best. 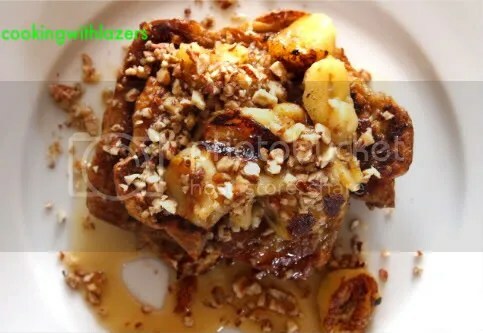 Add nuts, and drizzle honey over centers. Carefully dust with cinnamon and pepper.